On the other hand, movie theaters were just becoming multiplexes, and double features were the norm. Our county had theaters in almost every city, and the drive-in was an option in California throughout the year. Looking at newspaper theater ads from that time, there were always a couple dozen films to choose from. Now there has been a strange inversion of television and the movies. By using the internet, all the lame shows of my childhood are available along with the hundreds of new shows produced every year. 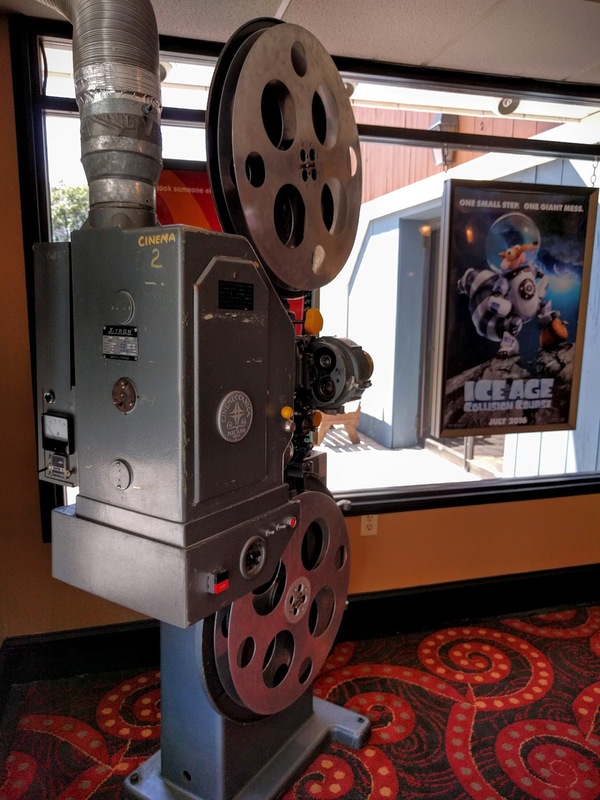 There's Christian programming, nature shows, thousands of films, premium cable shows with budgets greater than many films.... but at the movie theaters, especially in small towns, often only three or four films, the main releases for the week, are available. Last Friday, looking at a number of theaters in a wide geographical range, all of them seemed to be playing the same three films: Finding Dory, Ghostbusters, and The Secret Life of Pets. 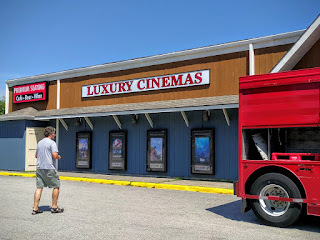 But we did find one theater in Mystic, Connecticut, and that was playing something different. Sure, they were playing Dory and the Pets and the Busters, but they had one other film, Hunt for the Wilderpeople. I looked it up on Rotten Tomatoes to find it was scoring 100% for critics. I found it was written and directed by Taika Waititi, the creator of the film What We Do in the Shadows, which I had really liked. So that's the movie we watched. 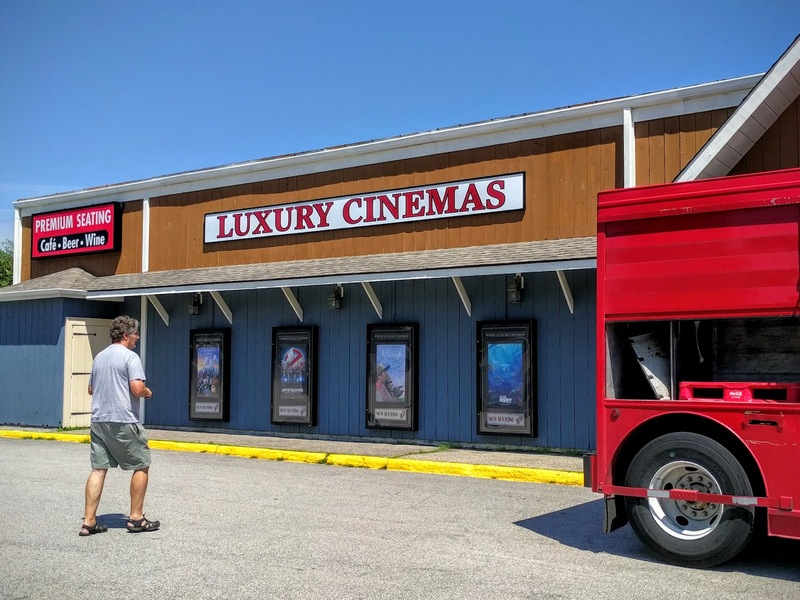 The Mystic Luxury Cinema itself is a charming little theater in the midst of Olde Mistick Village (a touristy mall which includes a honey store with over twenty varieties for sampling). 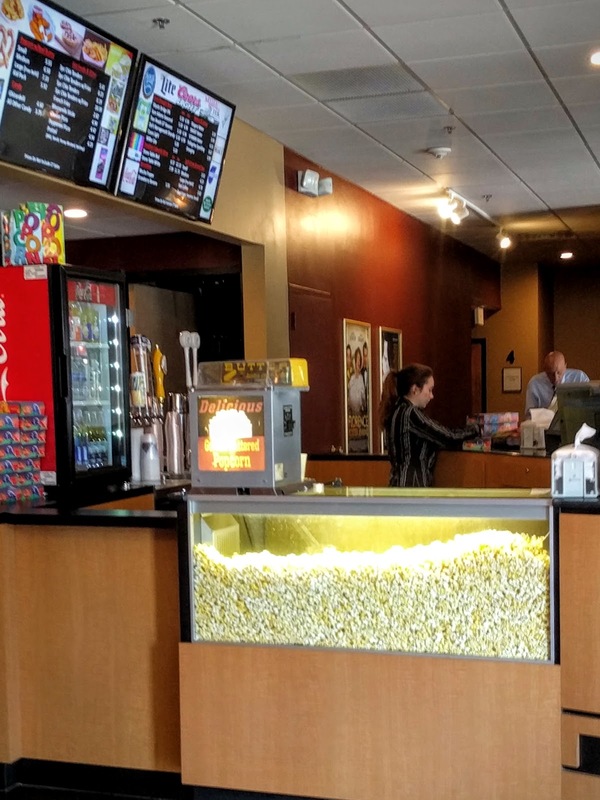 It's always a good sign when real butter is used for the theater's popcorn. 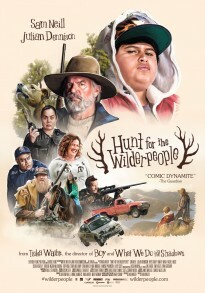 We overheard a gentleman, apparently one of the owners, saying his partner goes to a number of film festivals, which was where he came across Hunt for the Wilderpeople.